Well, Christmas has come and gone. A brand new year is upon us. All the Christmas decor is put away and the house looks so bare. it is raining quite a bit lately, but I am not complaining, because it is a welcome sight. Ok, on to another blog tutorial.....These days people are really into social media. Whether, it's Facebook, Instagram, Pinterest or Twitter, people are finding ways to share their blog posts. An easy way and FREE to promote your blog and share it with the world is Click to Tweet. This is the basic tweet box. Bloggers are using graphics, quotes,etc. to tweet out their links. Keep in mind there are three things you need for this tweet box.1. Text2. The link to your blog.3. Your @TwitternameBelow is the FREE Basic Link creator. If you want more, then you can sign into Twitter and you can see your tracked links and stats. 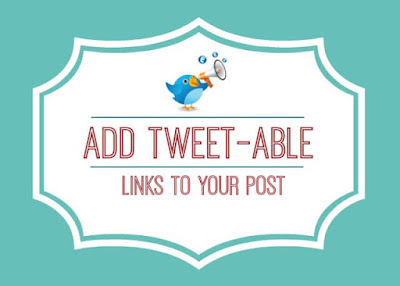 Using Quotes on your blog by creating catchy phrases and add the click to tweet link. If you have often wondered what quotes are, try clicking the quotes icon in your draft post. Here's an example:"Don't dream your life, live your dream." Highlight the quote or text, you want people to tweet. Go to www.clicktotweet.com/basic and paste the copied quote into the white box. Leave a space after the text and then add your url to the post. Then add your @Twittername...leaving a space after the url. A good practice is to use bitly- a url shortener.So go to bitly and paste your url you want to tweet about in the white space that says "Paste a link to shorten it." 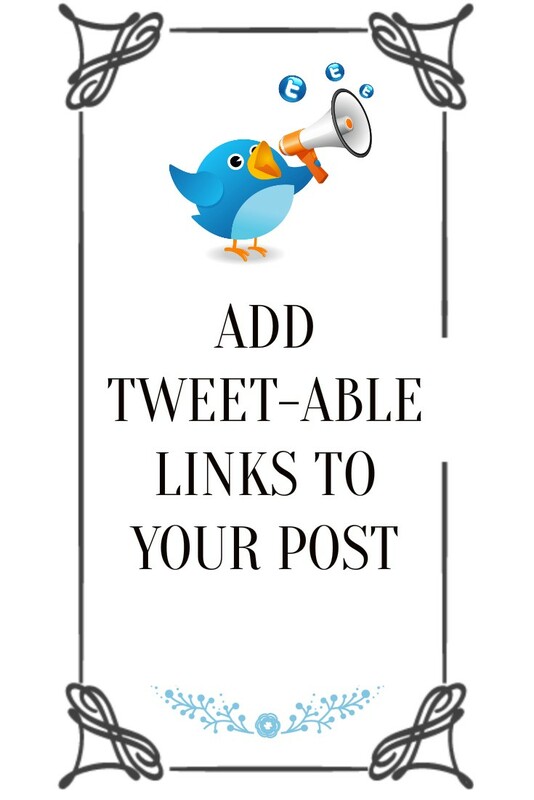 You will then get a shortened url to add to your tweet box. This is one I created for this particular post. Once you have all items in your Tweet box, click the green button that says Generate New Link. Below is the generated link.Copy the link and paste it in your blog post, with a quote, a graphic, Click to Tweet! or the words, Tweet this! Highlight the quote, words or graphicand link it with the url. I like using an image like this one. Click it to highlight and then add the generated link . Be sure to check the box, Open this link in a new window, so you can keep readers on your blog. Here's some Twitter graphics to use. I have not entered the twitter sphere...but you make it look easy. Thanks! Try it out Sheila. More exposure for your blog and it is quite easy. Thanks Linda! You are so good at this. I don't tweet..just really started on IG..
Ifind it cold to take pics! Wow, that is cold.....Brrr! Have fun with your new phone. We are having lots of rain. I've pinned this and thank you. Now that crazy 2016 is over and I'm looking forward to having time for blogging, this will be a great help! You are welcome Maureen. I hope you give it a try. Always great info Linda. You are so talented. Thanks for sharing. Thanks Linda, this is really useful tip! Hello Linda and happy new year. Thanks for sharing this on how to add in twitter to a blog post! I will have to try this sometime. Thank you Linda, I am slowly getting the hang of social media, and appreciate the tutorial, I need all the help I can get!